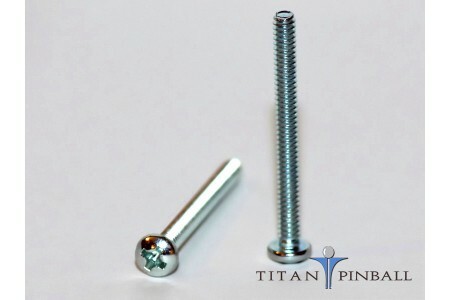 Pan Head (Rounded Philips) and Hex Head screws are commonly used to hold plastics, posts, ramps, wire forms, and toys in place. This tiny screw is usually seen holding micro switches together to their mounting bracket. .53" in l..
Small screw used to secure the pop bumper cap to the bumper body. 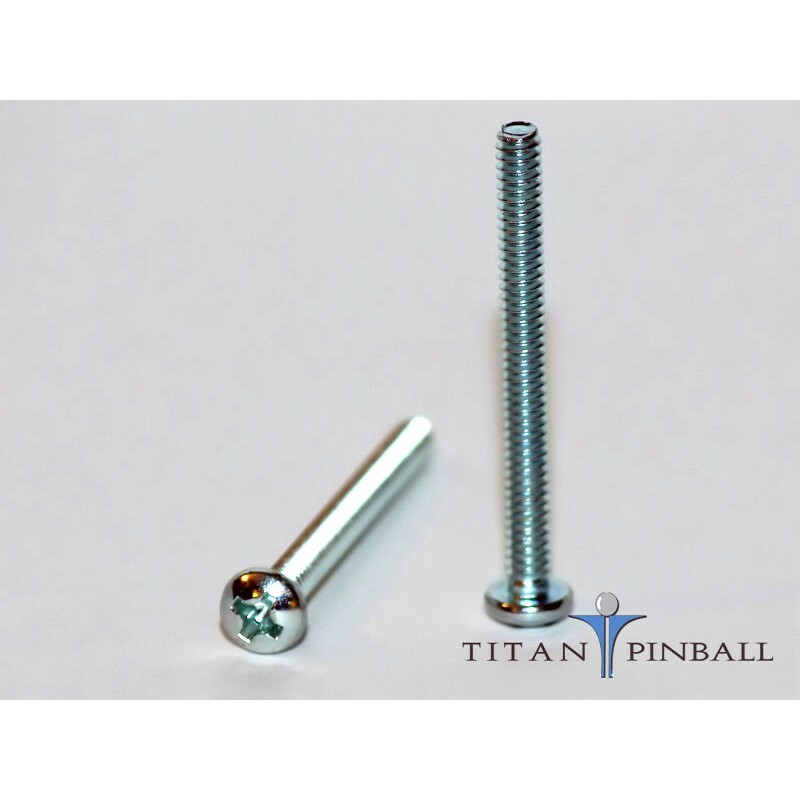 Some games use 1/2" and othe..
Pan Head (Rounded Philips) and Hex Head screws are commonly used to hold plastics, posts, ramps, wir..
Long screw commonly used to secure lane guides and star posts. Williams Part Number: 4006-01027-40 o..